djkardkreations: Retro Rubber Reminder ~ Tie It On! Retro Rubber Reminder ~ Tie It On! I'm popping in real quick with a reminder post about the current challenge going on at Retro Rubber where I have the honor of being Guest Designer. 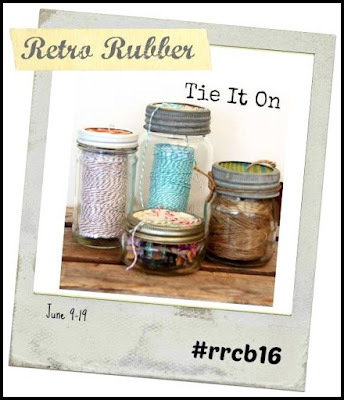 The challenge is to use ribbon or twine on your creation for the theme, "Tie It On." For my inspiration cards today, I give you Christmas in June. Now there's some ribbon! The bright sun was a little too bright and my card is a bit over-imposed. You can barely make out the card base is embossed with a snowflake e/f and the image is matted in sparkly paper. The stamp was made sometime in the last century. It is from Great Impressions (G241). I can't really say this is a neglected stamp, however, as I really love it and use it just about every year. Here's a better view of the sparkle from the paper and from all the pizazziness I applied to the image. The stamp set I used for this card is the beautiful "Ornamental Pine" from SU which came out last Christmas. It isn't over a year old, but the sediment is a couple three years old. It is from Technique Tuesday's "Jingle All the Way" stamp set. For the ribbon treatment, I just threaded one end of a piece of ribbon through two tiny holes on either side of the ornament and then did a Chris Cross and taped it to the back. The panels are popped up. This has been an interesting challenge for me. It made me realize that I am consistently reaching for enamel dots or sequins to add a little shashing to my card, where I used to reach for ribbon. Why do I have to use one to the exclusion of the other? Goodness knows, I've spools and spools of ribbon in my stash to use. Heck, I even have a pair of skizzors dedicated just for cutting ribbon and they were nearly rusted! Okay, not really, but I do thank Retro Rubber for the revelation and reminder! How about you? Is your ribbon or twine being neglected along with your older stamps? I hope you will bring them into the light of day and join us! The challenge closes on June 19th, so hurry!! Here's a little snortle for the day! I can't remember if I've posted it before, but it's okay if I did because it just karacks me up! YAY - two wonderful Christmas cards here Darnell. Love the ribbon! Currently hot and sunny in the UK and I'm enjoying a few days off! Two beautiful Christmas cards,love the shimmer and shine with the green bow. I am a bit behind this year on my Christmas cards. Congrats on your GD spot ,thanks for the inspration. I love your sparkly Christmas cards and that green ribbon is just lush! Hope all is well with you - keep smiling! Two real beauties today Darnell, I love the gorgeous ribbon and the sparkles are beautiful - a very cheery Christmas in June! Two gorgeous Christmas cards. Love the sparkle and shine. I'm with you on the ribbon. I've hoarded enough to maybe circle the globe. LOL!!! Two lovely Christmas designs Darnell - love all the glitter! Darnell I love both of your cards but the first one is just gorgeous! Love those shiny sleigh bells and and that fabulous bow. Love your new signature too, Hammie is the cutest! Get to the cards in a sec...the "giggle" piece made me laugh out loud. Reminds me of the days when I could walk the dog without little blue plastic bags wadded up in my pockets. On to the cards...Maybe I should join into this challenge as the amount of ribbon and twine I have is indecent. Anyhoo, what you've done with it is fabulous and now you have two more Christmas cards done. It's a win-win. I find it harder and harder to use ribbon on my cards, but I'm really trying! I love the glittery raised up bells in the first design and the deep, rich colors of the second have me swooning! And i never remember to use it till the card is finished and then there is no room! This would be a good challenge to make us focus on using that ribbon up! I think as my cards move more toward the clean side, I use less ribbon too...but I love ribbons, I have a whole drawer full and scissors for ribbon only too...lol. That bow is fabulous, and its genius to loop the ribbon for the ornament in the second card. You go! Beautiful cards! I love the Christmas in June theme. That ribbon is absolutely beautiful! Fantastic cards for the special time in the year. Great ! Both are great cards! Maybe if I make Christmas cards it will cool off here! Hot hot hot! And your cartoon is hilarious! A lovely pair of Christmas cards Darnell!! I love the lush green ribbon. It is funny how our go to supplies change. I've gone from brads, to buttons, to rhinestones, to sequins...Oh I still have all of it, just hanging around waiting to get back into the rotation again!! Love both of your cards. Great design and I think we should make Christmas cards all year long (I do) :). 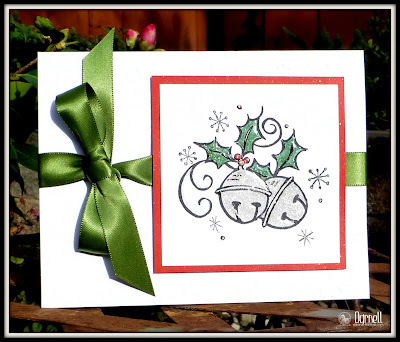 I love your jingle bell stamp Darnell, the card is lovely with that gorgeous ribbon bow. 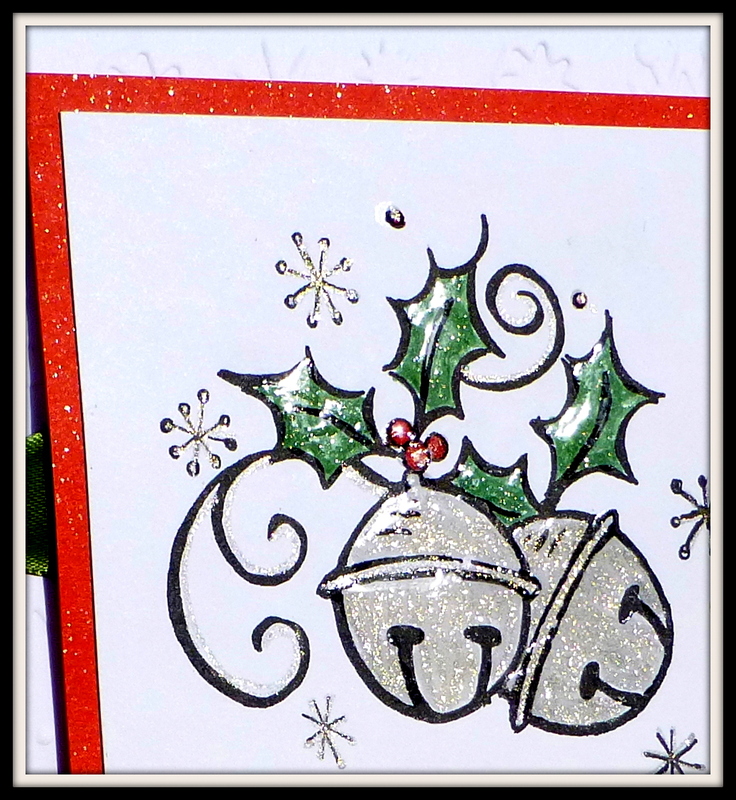 A beautiful bauble stamp on your second card too, ( I'm a bit of a stampaholic in case you hadn't noticed ). I bow down to your bow tying ability and if I had a violin I would crank out a tune using my bow! Awesome cards - love the sparkle of the bells and l& the shimmer - so festive! Awesome background DP and cool way of 'hanging' the ornament! 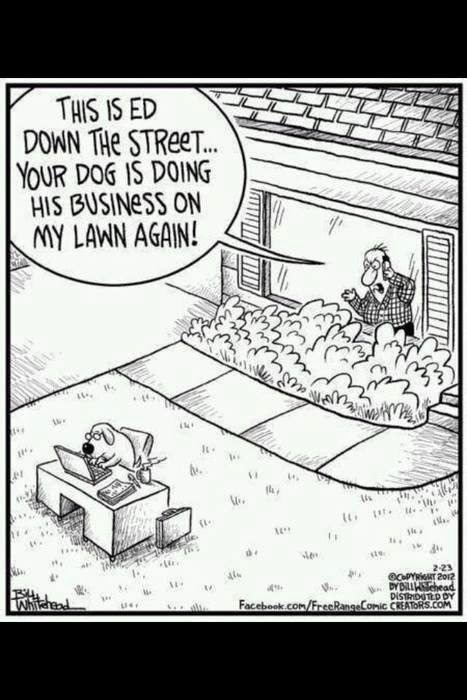 Sweet cartoon....need to send this to the folks up the street from us! Two pretty Christmas cards, Darnell! Love the sparkle on the first and jingle bells are always fun! The Pine boughs with the ornament are classy and I love the ribbon treatment! Always a treat to stop by here, Darnell. Love both of your Christmas cards, and especially that gorgeous ribbon and bow on your first. I think I have seen that hilarious comic before, but that doesn't mean I don't laugh every time. Are you a hummingbird expert? I've got a tiny nest right outside my front door--it's too adorable. I love both of your gorgeous Christmas cards. Beautiful cards, Darnell! I adore the green ribbon & bow & all the shine & sparkle of the first card! I do hope ribbon isn't going out of style as it still is one of my favorite elements & I have tons of it! I'll be using it no matter what--trendy I'm not--LOL! Unfortunately, few bows on my Christmas cards since I've promised myself to keep to regular postage this year for 90% of them. Gonna see if I have any cards that should be posted to the challenge. Congrats again on being the GD! Your use of retro stamps is fresh and modern. :-)) Super nice cards although I want to be the summer. :-) Congratulations for the guest of DT! Two gorgeous Christmas cards, love your beautiful style. And your sweet comic is so funny and just too darn cute. Awesome shiny and sparkly cards! 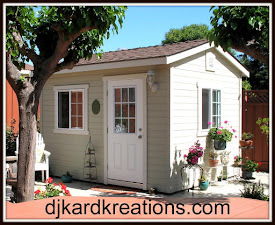 Always such a pleasure and a genuine treat to visit you in your Playhouse!!! 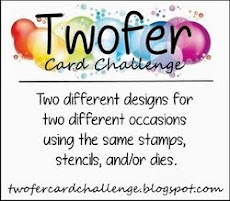 You did a delightful and impressive job on both of these cards sporting some ribbon for the Tie it On challenge!! I love that challenge too - I will be scooting over there to see if I can play too!! Thanks for the laughs and the sweetness that is found here - you are the best!! Two super Christmas cards. That jingle bell image is really a nice one. I can see why you use it every year. Oh yes, and that silly cartoon made me laugh out loud! Two great Christmas cards Dippy and love your use of ribbon. Is it me or do your bells look like they're smiling????? I too have a stash of ribbon and actually used some on today's card!! Your cards are beautiful Darnell ...Congrats on being GD too! I can't enter my card though because I didn't use a retro stamp ... Have a good day! Love the cards. All nice and glittery. Oh my gosh!! what amazing cards Darnell, truly amazing!!! Love the sparkle on the little jingle bells, the sun really makes them shine. 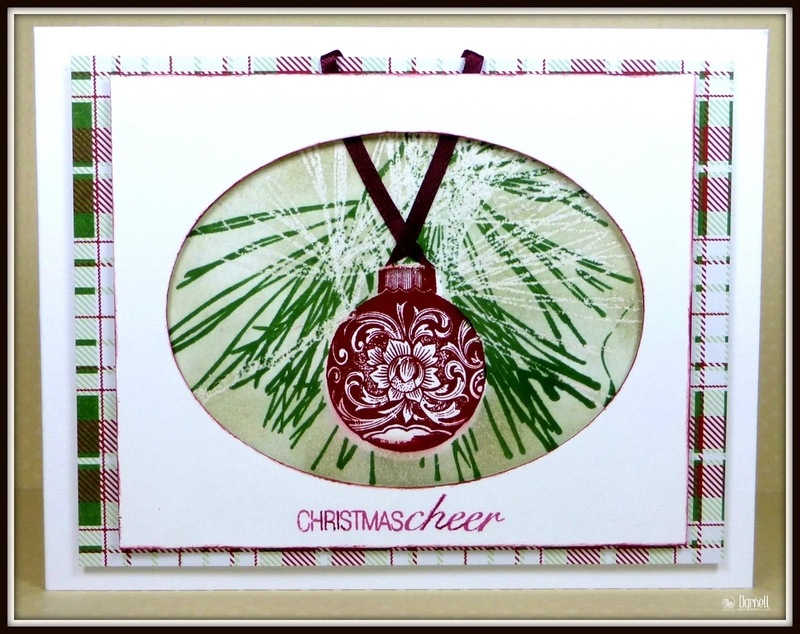 And the card with that gorgeous Christmas ornament is so beautiful too, I love the window you created to display it. I've never seen that cartoon, but it's hilarious, thank you for sharing it, you cracked me up right now at 5:43 am. Two lovelies to add to your Christmas stash. The glimmer is wonderful on card 1. 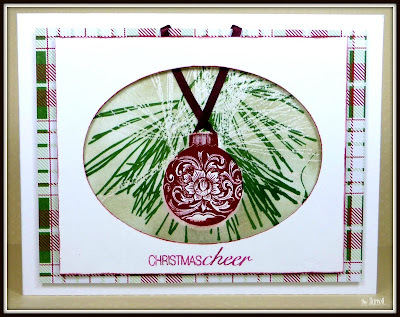 I love all the layers on card 2 and the way you've "hung" the ornament. Pretty Christmas cards Darnell. Love the touch of sparkle and shine on the first one... plus it's a really nice image. I have the ornament and pine stamp set. Thanks for the inspiration. Love the ornament hanging in the oval opening. Wonderful Christmas cards! I love when older stamps stand the test of time, that means it was a wise purchase! Funny cartoon! Darenll these cards are fabulous (when do you ever make a card that is not?) 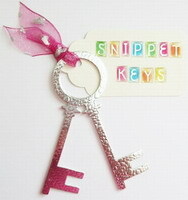 Love the sparkles on the top one, and the wonderful bauble on the second - and of course the ribbon!! I can see why you love those jingle bells. And the sparkle on them is fan-freakin-tastic. And I absolutely love that ribbon. That ornament stamp is absolutely stunning. Wow. And I want that plaid paper. You definitely did a fabulous job as a guest designer for Retro Rubber. Oh my goodness I haven't used ribbon on anything in forever!! Your cards are stunning. I especially love the sparkle on the first one. Just beautiful!! 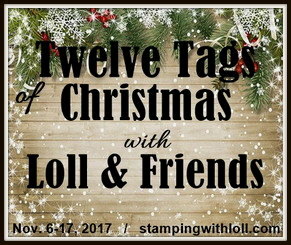 Fabulous Christmas cards and liked your comic! Two lovely X-mas cards, Darnell!!!! Love the shine and the ribbon on both!!! So enjoyed the cartoon!!! TFS!! !